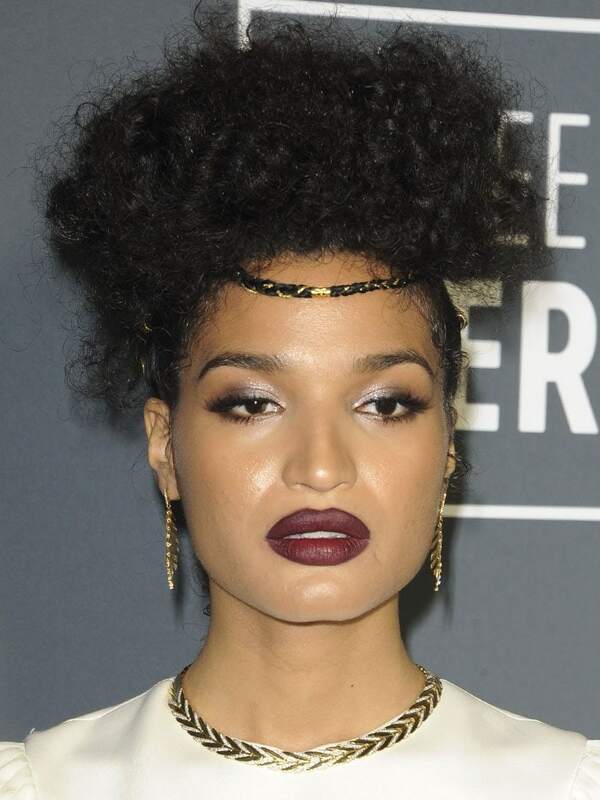 Indya Moore just totally redeemed herself from her last trashy showing in an underwear-revealing net dress. The 24-year-old actress and model not only embodied chic in head-to-toe Louis Vuitton at the 2019 Critics’ Choice Awards but has also just been named one of the newest faces of the Frenchy luxury fashion house. The “Pose” FX TV series actress walked the prestigious awards show’ blue carpet in a Louis Vuitton Resort 2019 white pleated gown paired with Louis Vuitton ‘Silhouette’ clear-heel sandals. Though her look was modest with its yoked high neckline, long sleeves, and blouson fit, Indya managed to keep it from being boring. The transgender model injected peeps of her alluring personality through an interesting braided hairpiece, chunky gold jewelry, and a dramatic oxblood-red lip. Indya’s sandals are similar to the ‘Crystal Flower’ style in that they have the same clear heels shaped in Louis Vuitton’s signature monogram flower. What differentiates them from the previous style are the clear PVC inserts and the new suede uppers. Laura Harrier joins Indya Moore as one of the fresh faces in Louis Vuitton’s Pre-Fall 2019 lookbook. 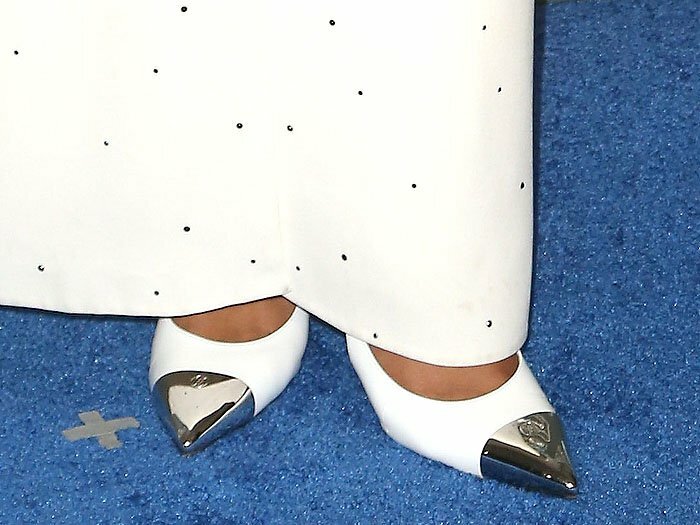 Naturally, the “BlacKkKlansman” actress was also decked out in full LV, wearing a Pre-Fall 2019 white long-sleeved gown featuring sparkly silver embellishments and a high front slit. The gown’s plunging neckline was perfect for showcasing Laura’s diamond necklace from Bvlgari, a brand of which the actress is also an ambassador. 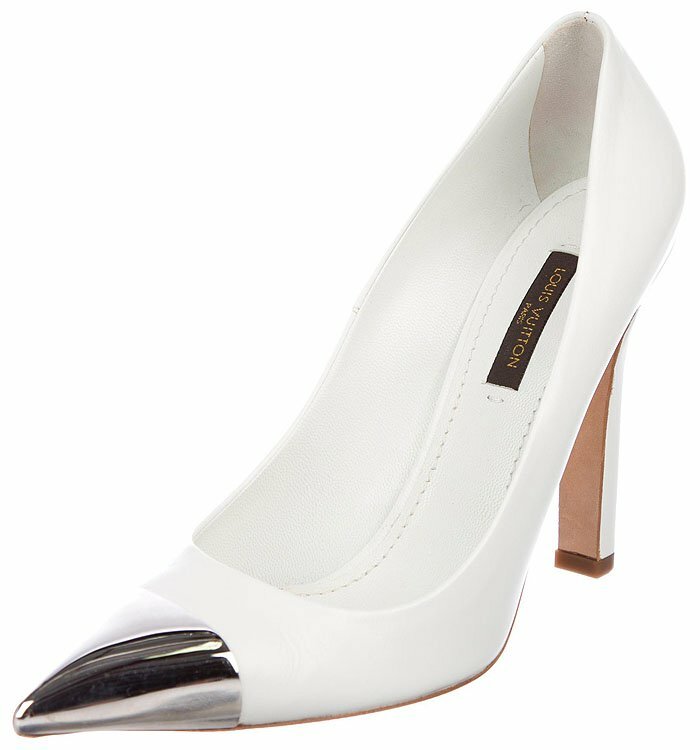 The 28-year-old rounded out her look with Louis Vuitton ‘Merry Go Round’ white-leather pumps with silver cap toes. Anyone else finds the stark white cap-toe pumps too heavy paired with the rest of Laura’s ensemble? We not-so-secretly wish that she had gone with ankle-strap sandals instead.